Happy Friday Foxy Friends! I have today off, woo hoo. Prepping for Mini Fox's birthday party, holy cow I have a ton to do and not much time to do it! Mr. wants to go on an outting tomorrow, which leaves me today to finish stuff up before the party on Sunday...trying not to panic. 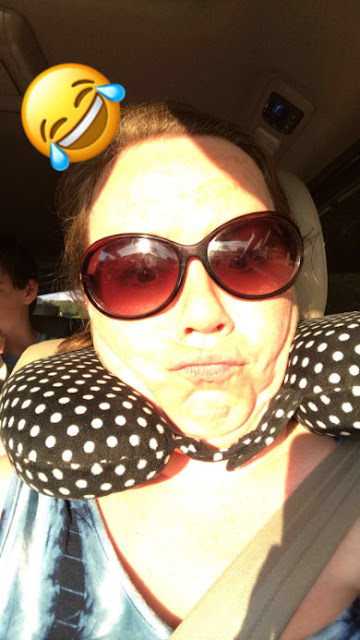 Today is the first time that I will be dropping both kids off at school and will have 4 hours to get stuff done...before party day, that's huge! Now hopefully I can be super productive! Okay onto Friday Favorites. To our right, and with all of that beach space, the kids wanted to dig right under Mr.'s feet. Go figure. After that we all went home showered quickly dropped the kids off and went to my birthday dinner at Ruth's Chris...yummy! They even had a happy birthday in the menu for me, how cool is that? Steak...yum. I only ate half, Mr. had the other half the next day. Great way to celebrate my birthday, with good friends. Sunday we took the kids apple picking up in Julian. So much fun! Definitely going to be a yearly tradition! We meet up with some good friends we haven't seen in over a year! Crazy how fast time flies. The kids took about 10 minutes to warm up to each other and then they were off and running. Afterwards we went across the street and had a picnic, the kids played and played until we thought it was time to go, they were having a blast. Then we decided we weren't done hanging out and we needed to find something else to do. We tried to go to an antique market but that was a bust, but there was the cutest swing ever there, that of course I put the older kids in and think I got the BEST picture. If they ever get married, this is SO the picture we are using! Yep he's pushing her on a swing...yes I told them to smile, yes I told him to push her...yes this was totally staged, but they kids pulled it off so well, like they actually liked it. Afterwards we went to a place that did Mining for Gems, super fun, and the kids again had a blast! Showing off their loot, good thing I brought an extra clothes for them to change into! We also couldn't leave without an apple pie! Such a great weekend! Monday was catch up day, which we really needed! We actually didn't get out of our pajamas until we had guest over for dinner...which was Thanksgiving! We decided we needed some turkey in our lives so I made it happen, so good. I think I'm good until Thanksgiving. So good! And we had left overs, which was the best part. 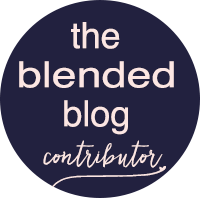 As usual linking up with The Blended Blog to share a little blogger love. 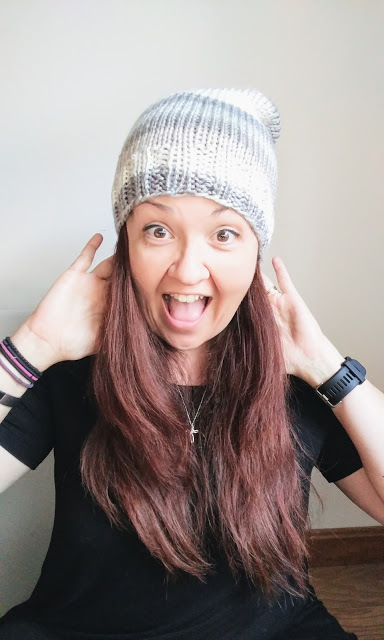 First up is Rebecca Jo from Knit By God's Hand, have you read her blog, she is super sweet and writes down to earth, this is her kind of posts. She's the one that I got the Sentence A Day from. Go read her sentences from this month! And can we say #hairgoals? Jamie from No Delusions of Grandeur also linked up with us for the first time. 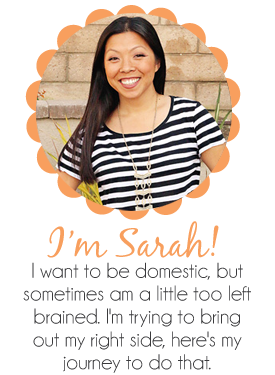 I haven't read her blog, but based off of her sentences, she is definitely someone I want to start following! Go tell her hi from me. Plus anyone taking a picture like this I want to be friends with. As always here are a few things I've been loving around the internet land. I shared this guy singing favorite 90's music, and here is the 2000's, loving this guys videos! haha, this is hilarious, I feel this way about pumpkin stuff. I wish I liked it, but I just don't. Anyone else with me? Anyone? Who is ready for 33 new Hallmark Christmas movies? This girl is...now to figure out how to get the Hallmark Channel!